There is no company that can withstand long periods of downtime and large amounts of data loss 'the price some companies have to pay for this type of thing is bankruptcy. 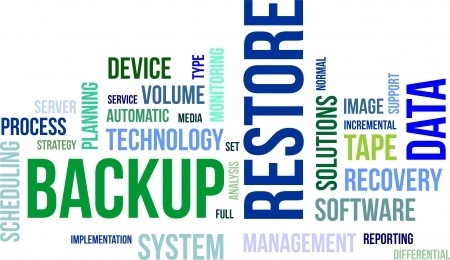 Top notch managed IT service providers work tirelessly to prevent or minimize data loss and downtime for its clients and end users and understanding your RPO (Recovery Point Objective) and RTO (Recovery Time Objective) is a critical piece to all business continuity plans. RPOs and RTOs are ays to measure how fast your business can recover from data loss and downtime. RPOs and RTOs are measured in increments of time 'the lower the number the better. For instance, if your line of business or application server takes 2 hours for recovery from backup after a complete crash or outage, your RTO should be set to 2 hours. Your RTO is your maximum allowable or tolerable outage timeframe. If you could restore all the data on your line of business server excluding the 24 hours since the last backup occurred, then your RPO should be 24 hours for your Line of Business or Application server. The goal is to find a backup or replication solution that allows you to have the smallest RPO and RTO. When building your business continuity plan, your managed IT provider should work with you to figure out how long your business can run without its business critical data. RPO and RTO are definitely different metrics but they are both very important when developing a sound business continuity plan. If you need assistance developing a business continuity plan or improving your existing plan by reducing your RPO and RTO, contact us today.